CLICK FOR MORE> Angels Aquatic Artwork ArtInspired Asian Backpiece Biker Birds BioMechanical BugsNSpiders Celtic Children Christian Comic Book/Game Coverup Crosses Demons Dragons Elemental Faeries Fine Art Foliage Funny Girly Skulls Greek/Roman Grim Reapers Hearts Lettering Logo Mammals Military Movie/Celeb Music Mythical Native Nordic Other Cultures Portrait Repair Reptile Scars Skulls Sleeves Sports Traditional Trees Tribal Women <CATEGORIES! 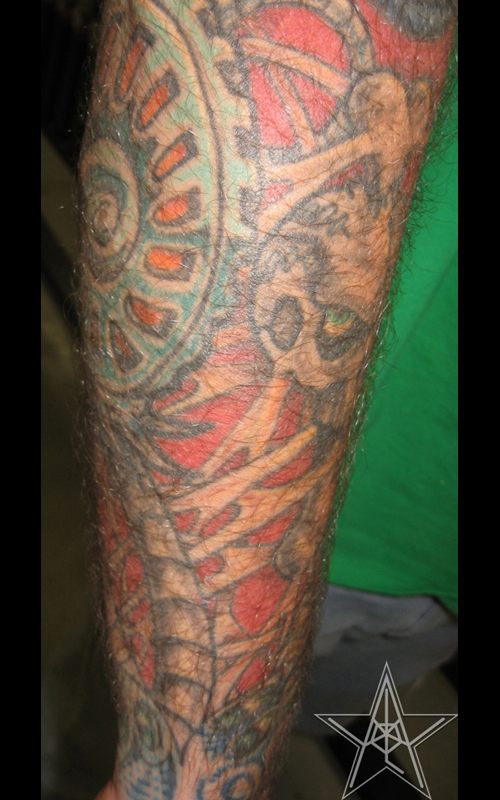 Stretchy Skin Bio Custom color biomechanical tattoo and Pushead. 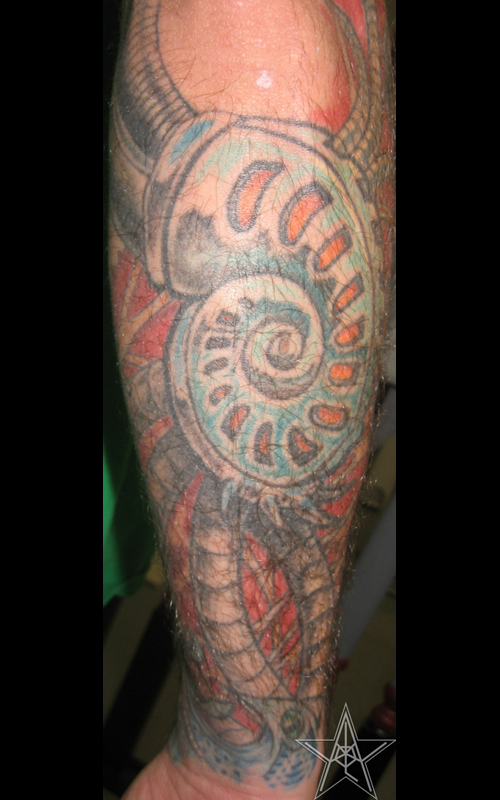 Stretchy Skin Bio 02 Custom color biomechanical tattoo. 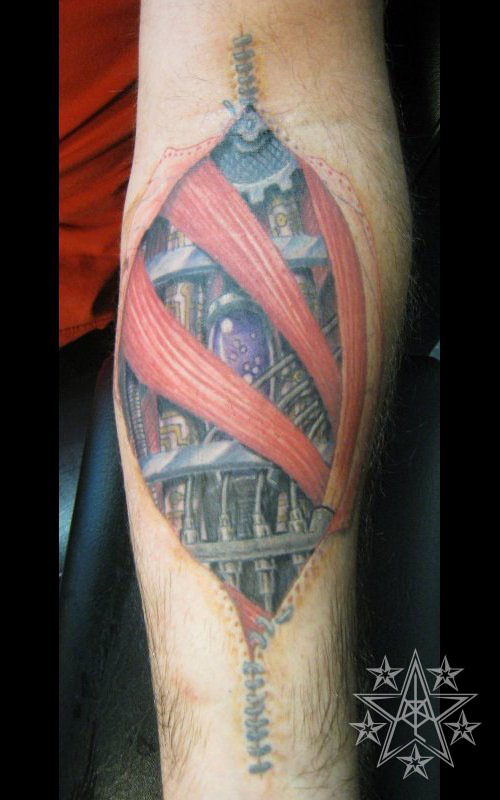 Stretchy Skin Bio 03 Custom color biomechanical tattoo. 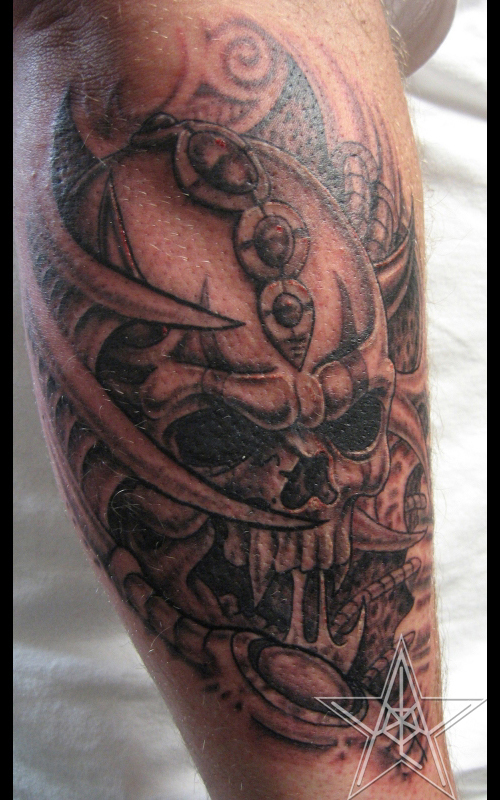 BioSkully Custom black and grey biomechanical skull tattoo. 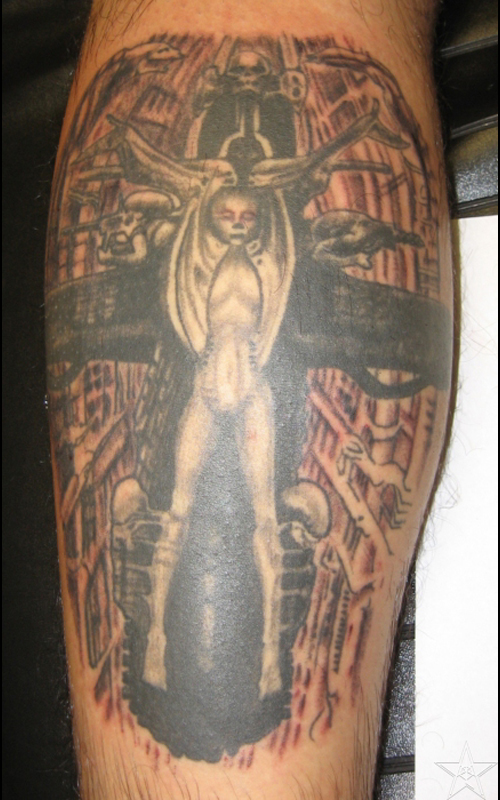 HR Giger HR Giger tattoo. 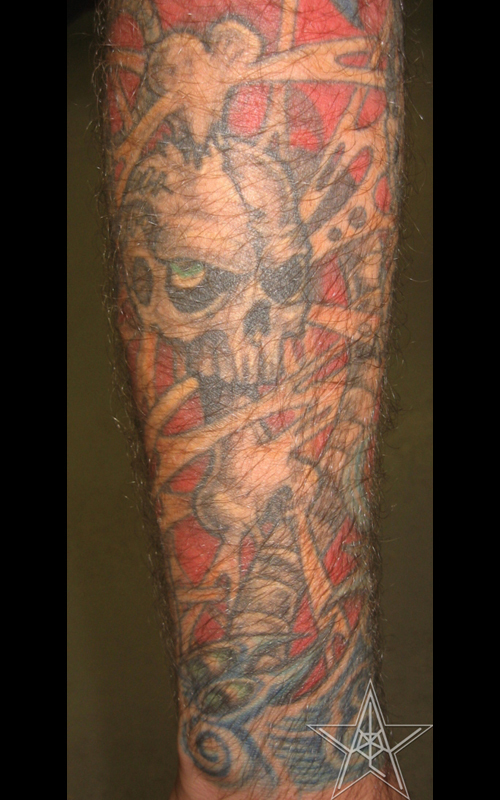 Shotgun Blast Biomech Custom color biomechanical tattoo. 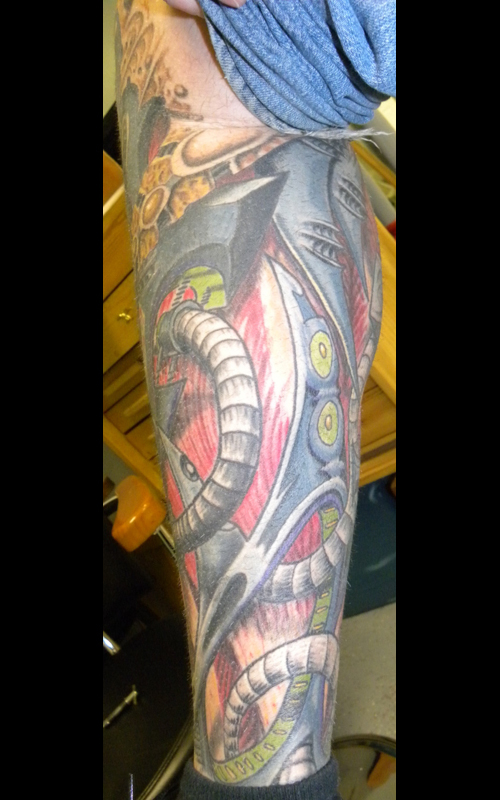 Shotgun Blast Biomech 02 Custom color biomechanical tattoo. 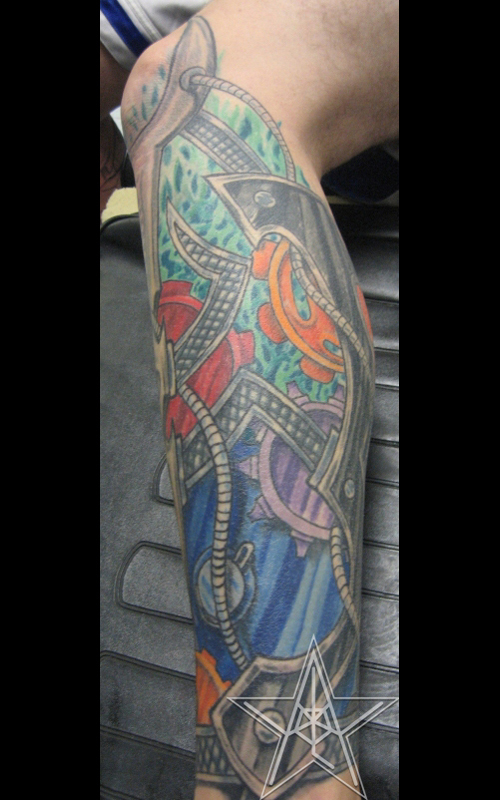 BioGears 01 Custom color biomechanical tattoo. 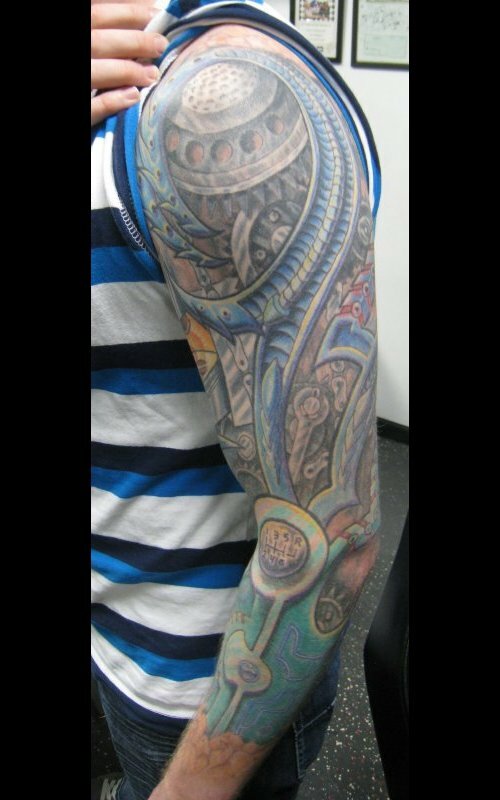 BioGears 02 Custom color biomechanical tattoo. 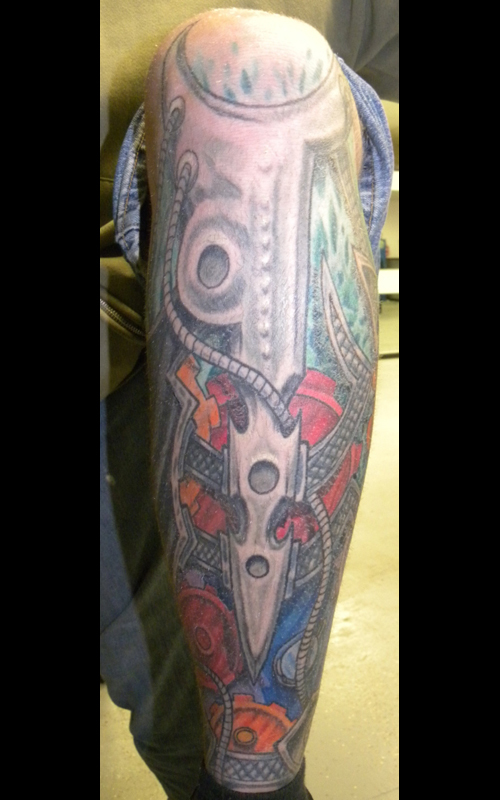 BioGears 03 Custom color biomechanical tattoo. 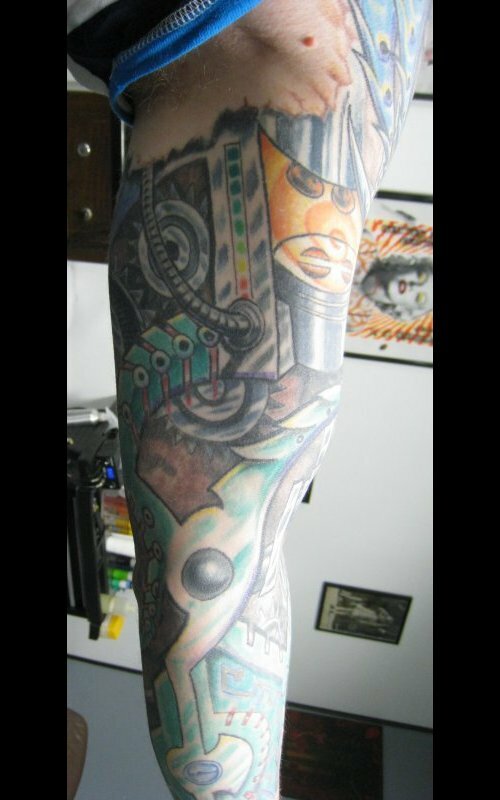 BioGears 04 Custom color biomechanical tattoo. 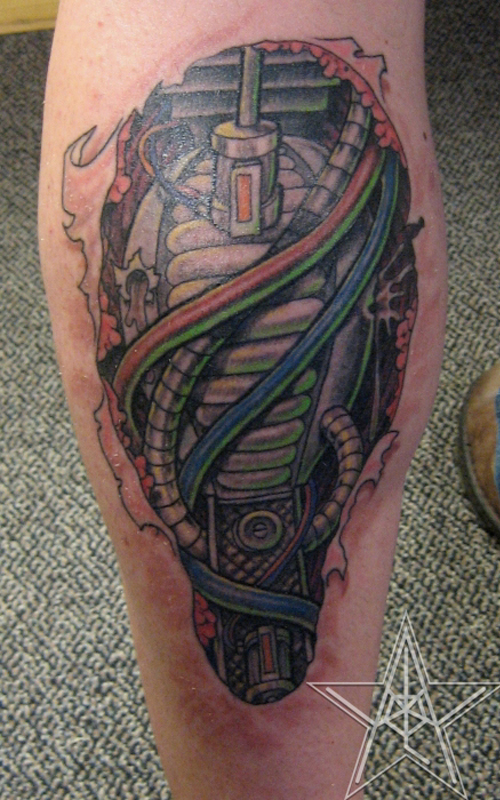 BioGears 05 Custom color biomechanical tattoo. 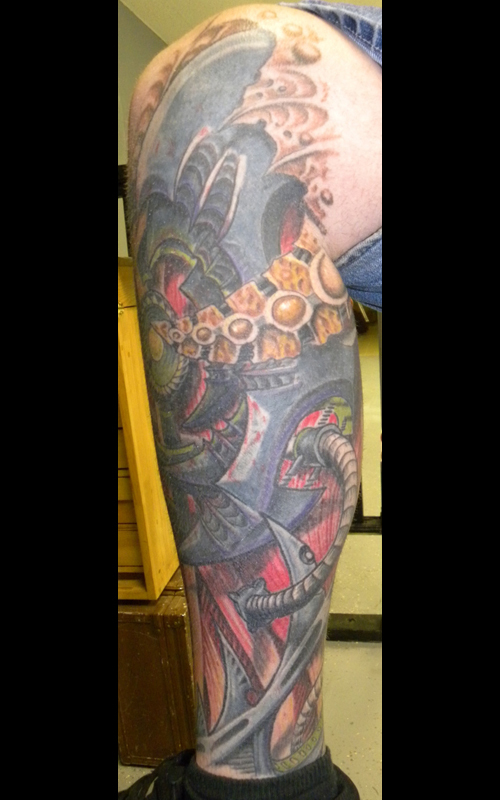 BioBlender Custom color biomechanical tattoo. 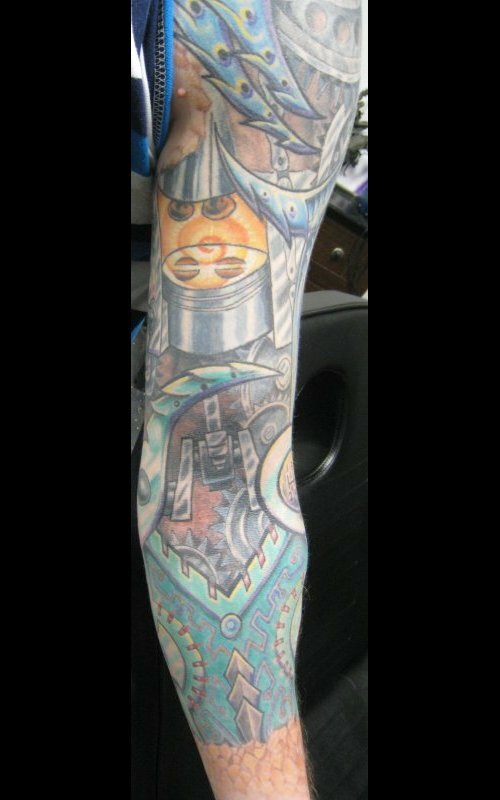 BioBlender 02 Custom color biomechanical tattoo. 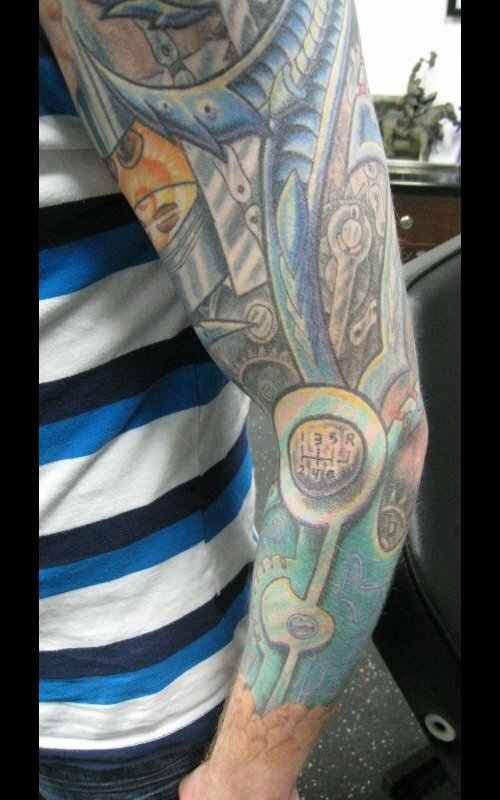 BioBlender 03 Custom color biomechanical tattoo. 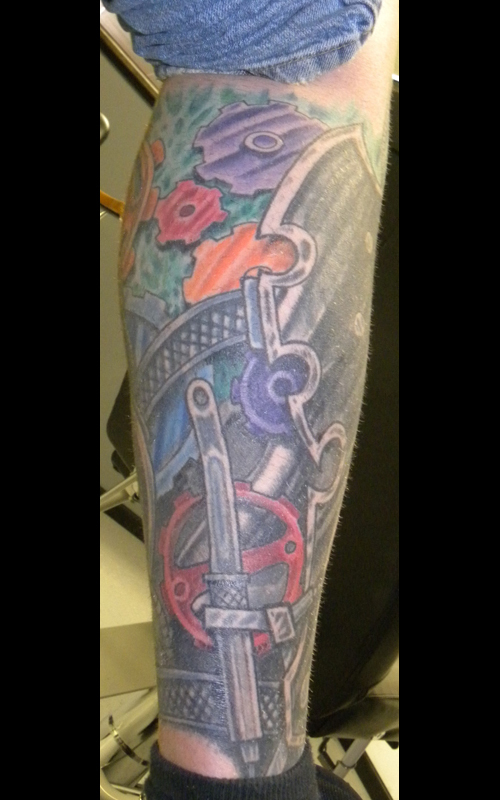 BioBlender 04 Custom color biomechanical tattoo. 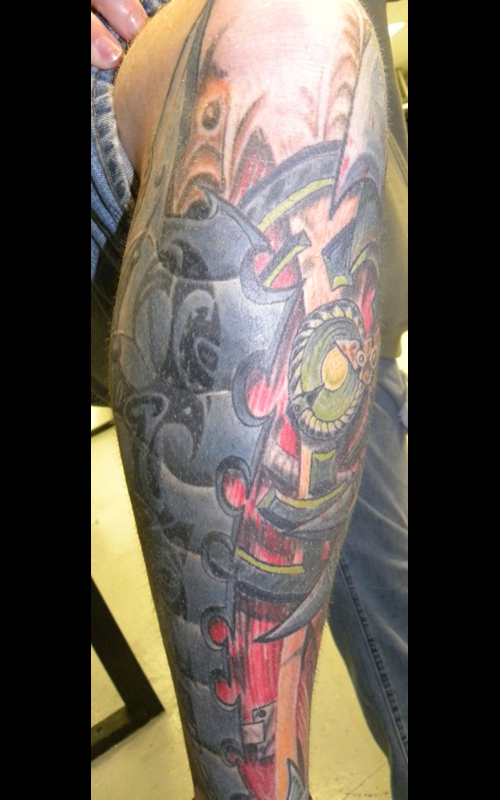 BioBlender 05 Custom color biomechanical tattoo. 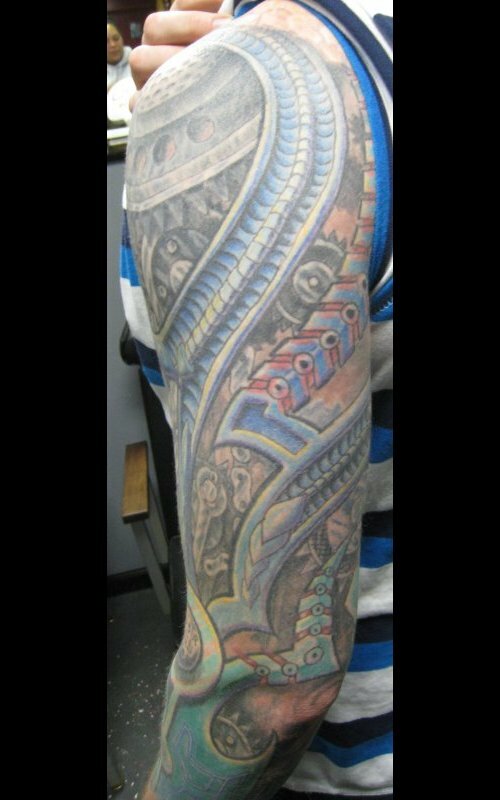 BioBlender 06 Custom color biomechanical tattoo. 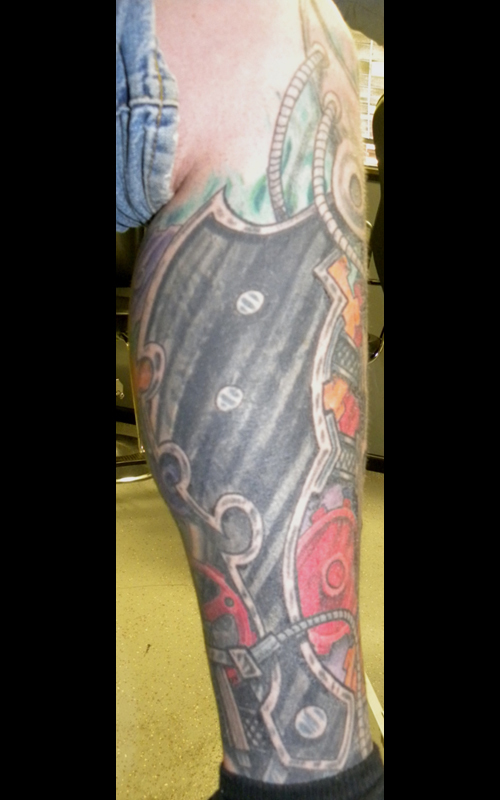 Gun Barrel Bio Edward Lee biomechanical tattoo. 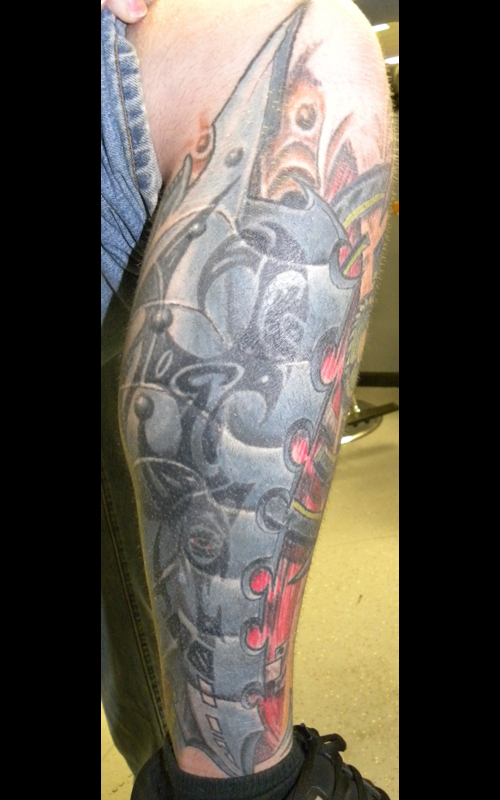 BioScan Custom black and grey biomechanical tattoo. 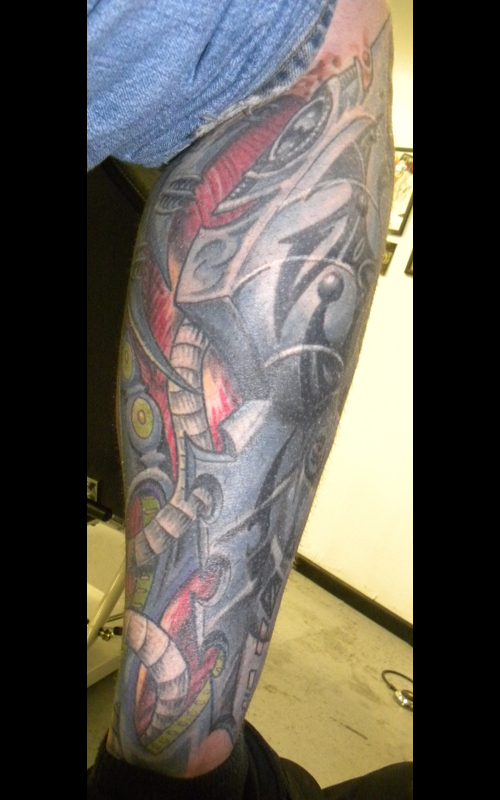 BioScan 02 Custom black and grey biomechanical tattoo. 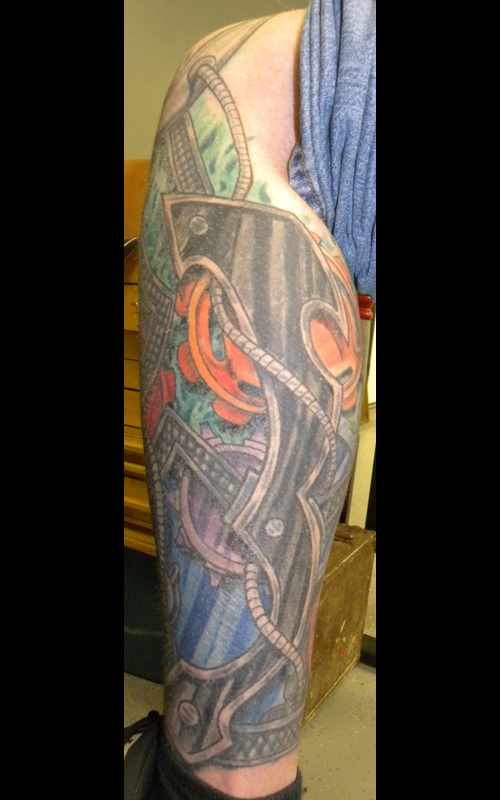 BioScan 03 Custom black and grey biomechanical tattoo. BioScan 04 Custom black and grey biomechanical tattoo. BioScan 05 Custom black and grey biomechanical tattoo. BioScan 06 Custom black and grey biomechanical tattoo. 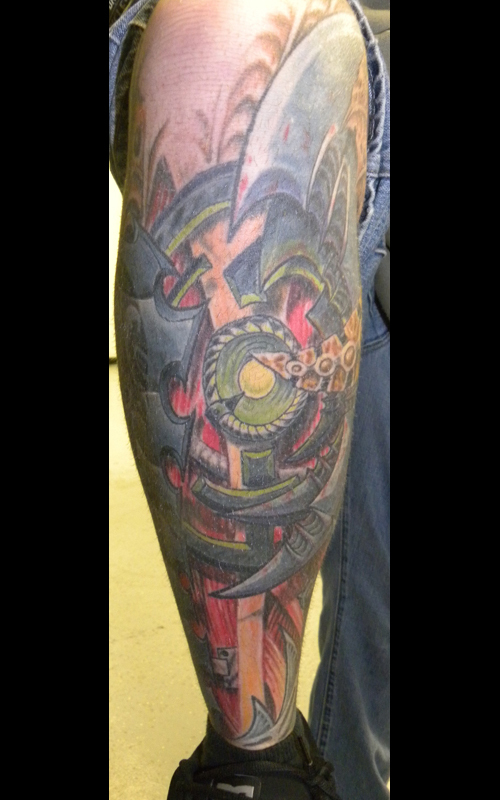 Clockwork Tornskin Color biomechanical tattoo inner referenced. 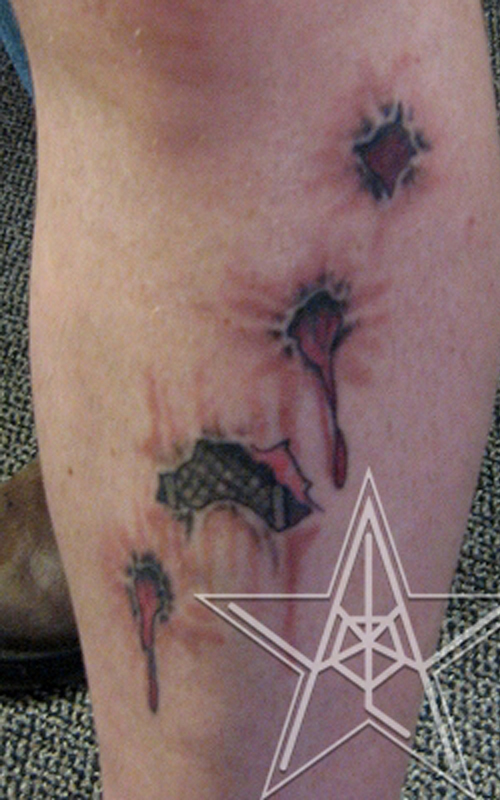 Hydraulics Bio stapled torn skin tattoo. Bio-mechanical tattoos by Ray Reasoner Jr.
Bio-mechanical: An image that consists of swirling organic shapes melding with flowing mechanical parts. This style uses high contrast and depth along with sometimes repetitive patterns or high end geometry. Derived from the artistic works of H.R. 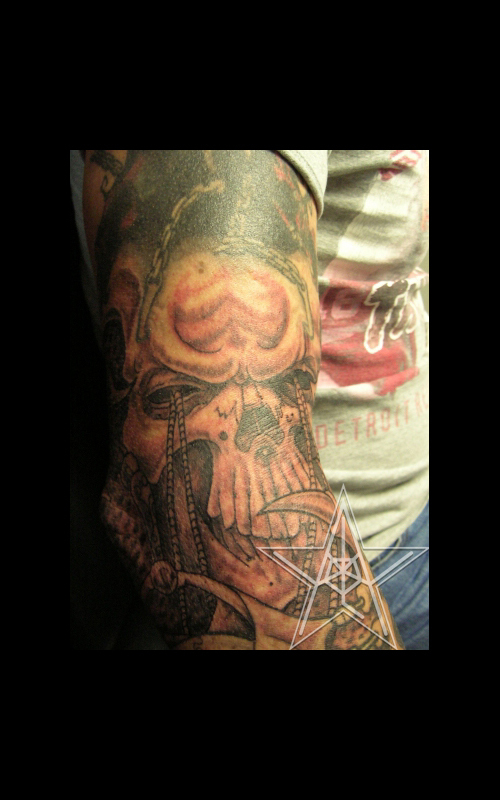 Giger and taken mainstream in tattooing by Guy Aitchison. There are quite a few ways to use this style to incorporate many different elements or topics and have them flow well on the body. Also known as bio, bio-mech, bio-organic, but none of the names truly demonstrate the vastness of the style. It can be used to form absolutely serene images like those of Jon Clue, to make your body look as if it were made of machine parts or strange plantlife (or both) like some of the tattoos by Nick Baxter, crystalline structures of madness like the work of Mike Cole, it also works well with alien mechanical organics like those of Aaron Cain and Don McDonald, as well as being a great medium for darkside images to come to life. 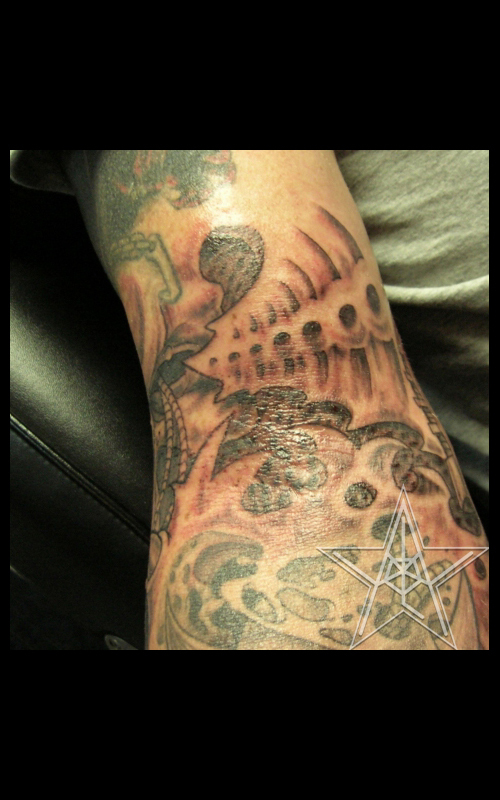 It is a truly fluid style that can go almost anywhere that you want it to and is therefore very popular with quite a few tattooists.